Theresa May's hopes of a breakthrough appear to be fading despite crunch talks with the DUP. Democratic Unionist Party leader Arlene Foster has no plans at this stage to travel to London where her Northern Irish party are continuing Brexit talks with British Prime Minister Theresa May, a DUP spokesman said today. May is trying to convince the pro-Brexit party's 10 members of parliament, who prop up her minority government, to vote for the withdrawal deal she has agreed with the European Union. The UK government is expected to delay the third 'meaningful vote' and there are reports of a statement from UK parliament laterthis afternoon. If MPs do not agree a Brexit deal this week, it's reported that Theresa May expects to be offered a nine-month article 50 extension by the EU. The fate of Brexit may not be decided until hours before the UK is scheduled to leave the European Union under a strategy being considered by the British prime minister. 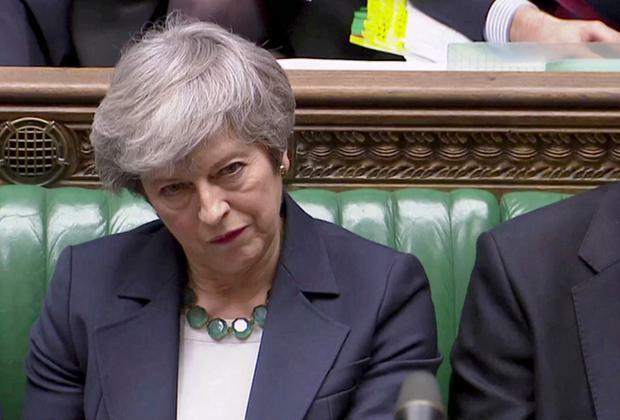 Senior Tory ministers have said Theresa May will not table a third vote on her divorce deal unless she is confident of winning it. Instead, Downing Street is understood to be discussing an alternative strategy of holding a third-time-lucky meaningful vote on the deal next week, cranking up the pressure on MPs to back the deal or accept the blame for a lengthy Brexit delay. If the Withdrawal Agreement is not passed by parliament by Wednesday, Mrs May will be forced to request an extension of up to two years from European leaders at a summit in Brussels on Thursday. Labour leader Jeremy Corbyn also indicated his party will bring forward a no-confidence motion if Mrs May's deal falls again. Mrs May's chances of getting her deal through are pinned on winning the endorsement of the Democratic Unionist Party (DUP) which has, to date, voted against it. The support of the DUP - which props up Mrs May's government in a confidence and supply deal - is seen as key to unlocking support in the Tory party for the deal among the European Research Group, which has rejected it. Crunch talks with the DUP continued over the weekend, but last night white smoke had yet to emerge. The party has been promised it will be "deeply involved" in negotiating the future trading relationship with Europe if it backs the deal. A guarantee that the UK will not allow a regulatory barrier to develop in the Irish Sea after Brexit has emerged among the key pledges in the discussions, according to the 'Sunday Telegraph', which also carried an opinion piece by Mrs May in which she conceded she had to do more to convince the DUP and others. 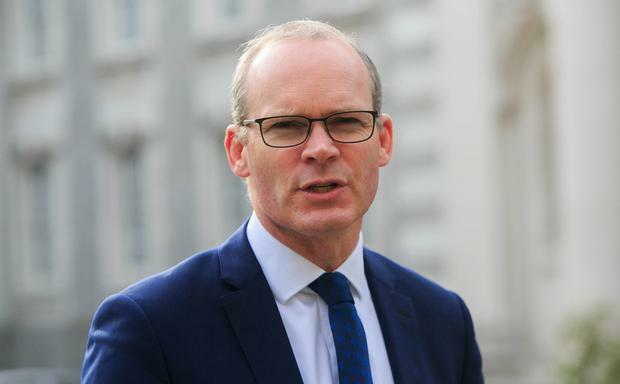 Tánaiste Simon Coveney said the EU needs to allow Mrs May space to make a judgment call on whether or not she can get her deal across the line with a final vote. However, he expressed confidence that there would be clarity on the next steps in London by tomorrow evening. A longer delay would give the UK a chance to "essentially re-evaluate where they are and what direction they want to take to try to create consensus around a way forward on Brexit", he said. He declined to comment on the talks with the DUP, saying they were a matter for the British government, but he conceded "the DUP are part of the picture here". The DUP has said that "political statements and pledges are not enough", but that it wants to do a deal. The Irish backstop remains the crux of the current stalemate amid DUP fears that it will lead to a customs barrier in the Irish Sea if it is triggered. Meanwhile, while the threat of a crash-out has receded, the legal position remains that Britain is leaving on March 29 whether a deal is in place or not. The Government is to meet this week to sign off on a package of supports for Irish farmers and businesses that will be needed in the event of a no deal. No-deal legislation was signed into law by President Michael D Higgins yesterday. Taoiseach Leo Varadkar said the package will be worth hundreds of millions of euro.